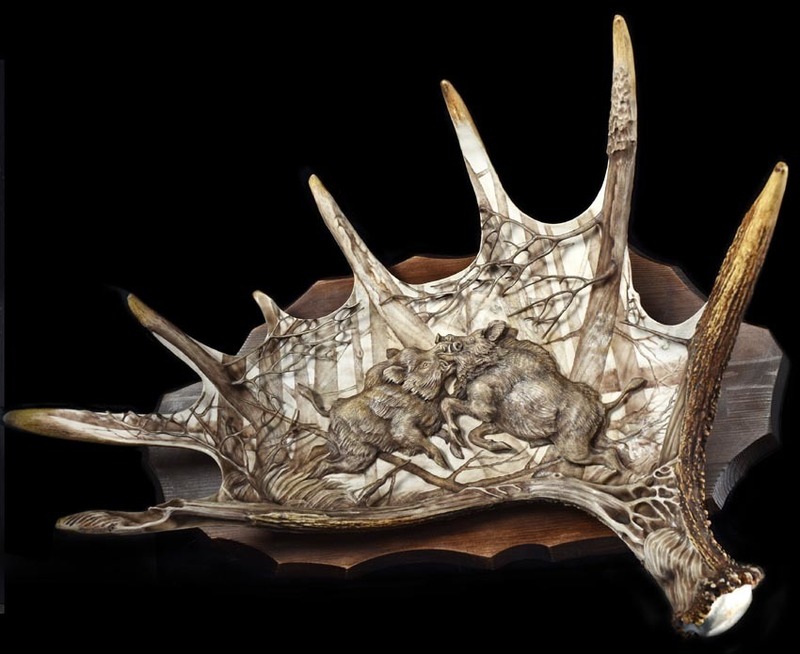 This is my carving on a moose antler, the subject is two wild boars fighting in the woods. Ich bewundere dein handwerkliches Können! !